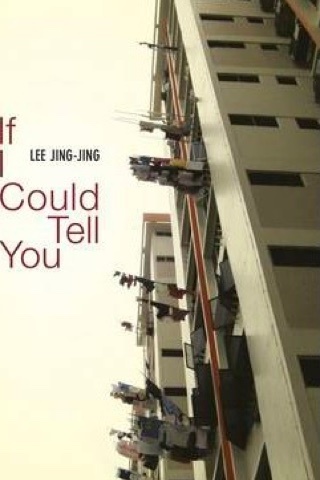 Set in and around soon-to-be-demolished Block 204 in Singapore, If I Could Tell You, by Jing-Jing Lee, is a series of vignettes of ordinary people going about their everyday lives in the city state. A sudden tragedy loosely sews the narratives of the building’s various disparate inhabitants together, creating an overall portrait—and a likely unexpected one—of Singapore today. If I Could Tell You captures community in a changing Singapore, with each character offering a glimpse into a certain world. Without descending into cliche, Lee juggles stories of various minorities, and through the prism of their lives we get an idea of what Singapore as a whole is like. The poignant story of the tragedy is worthy of a lengthier treatment of its own. Ah Tee, a resident who has worked at the base of Block 204 in a kopitiam for most of his life, simply can’t face his future. “What happened was we didn’t see. We never saw him,” says Alex, a lesbian resident, who herself endures a bout of homelessness. There’s the elderly lady whose age hides a life marred by an horrific loss under Japanese occupation. “Tch, I’ve seen worse. When the Japanese were here. Much worse,” she says. And the brave housewife who decides to emerge from invisibility to learn English at the local community college. Read If I Could Tell You to have a light shone onto the invisible lives of those for whom the glitz and glamour of Singapore’s skyscapers and malls is quite irrelevant.